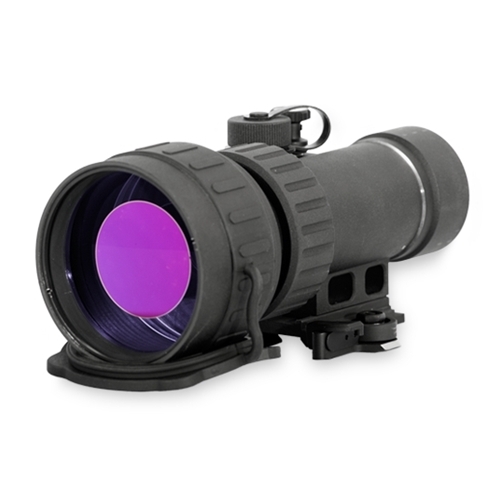 The ATN PS28 is an attachment for a Daytime RifleMultipurpose Viewers with 1x Magnification that converts a day Multipurpose Viewer into a high-quality very accurate Night Vision Multipurpose Viewer. The ATN PS28 System mounts in front of a Daytime Multipurpose Viewer. Re-zeroing of the Multipurpose Viewer is not required. It comes standard with 7/8" weaver mount. There is also an Adapter for ARMS quick release mount. Optional Ring Adapters allow to mount the unit onto the objective of the Daytime Multipurpose Viewer (25...62mm diameter). 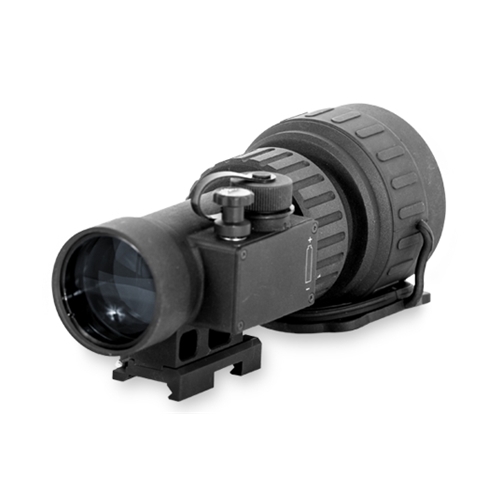 The IR Illuminator can be mounted onto the optional Picatinny Rail. This ingenious setup allows the shooter to go from day to night in less than 30 seconds without tools, without changes in eye relief and remain zeroed all around the clock. The ATN PS28 is a complex optical-electronic system. The device contains an Image Intensifier Tube assembly with an integrated high-voltage power source and the three volt battery housing.